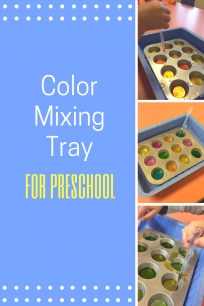 Sensory tables and sensory bins ( or lasagna pans like we used this time) are a fun experience for toddlers and preschoolers to learn a myriad of things. 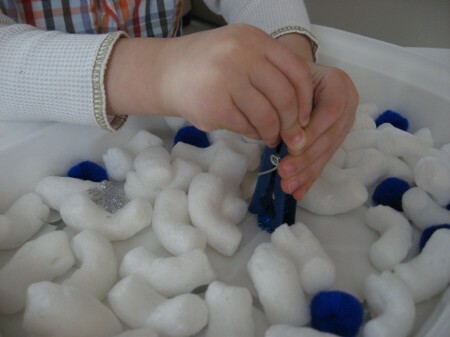 Simply scooping and pouring the contents of a sensory table will help develop hand eye coordination, as well as the basic concepts of measurement but as your child grows there are easy ways to turn your basic sensory fun a step further to keep them learning. 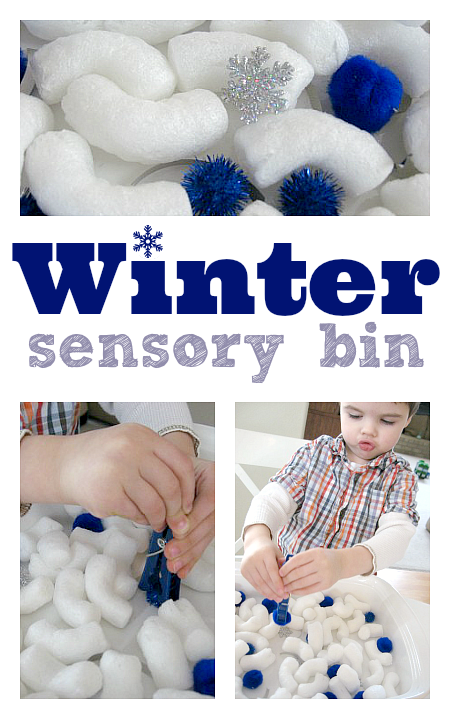 Here is our easy winter sensory bin . Gather your materials. 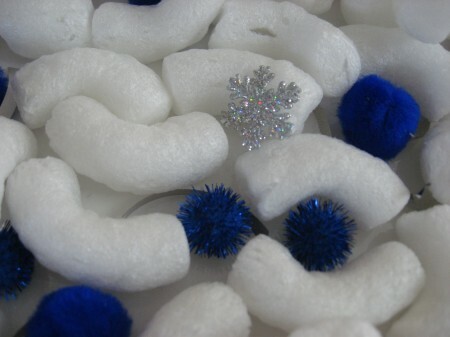 We used packing peanuts, blue pom poms, small pieces of silver ribbon and tiny snowflakes. We also used over sized clothes pins to use as “pinchers”. 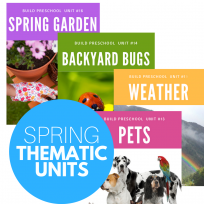 For younger children simply mix and explore. Feel the different textures, scoop with big spoons or measuring cups and pour. 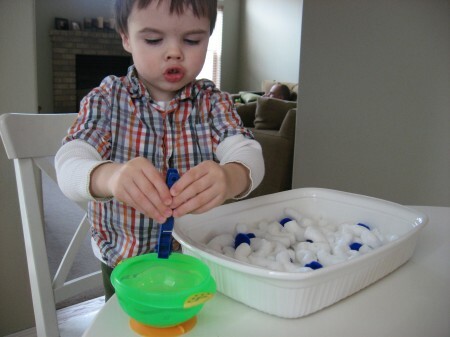 For older kids introduce the clothes pin , choose things to pinch or just let your little one loose. 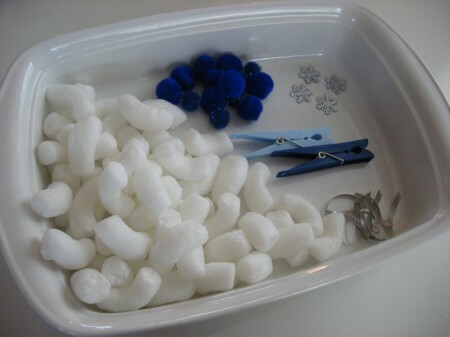 My son pretended he was a crane working on a snowy construction site and picked up all the blue pom poms. 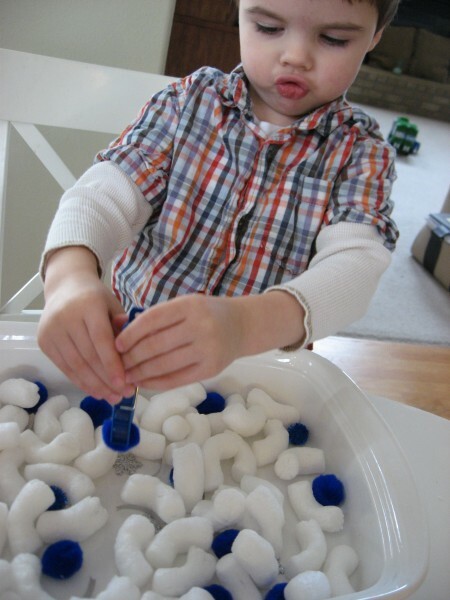 Little does he know he was giving those fine motor skills and hand eye coordination a darn good work out! There is no right and wrong way to do this , have fun and use what you have! 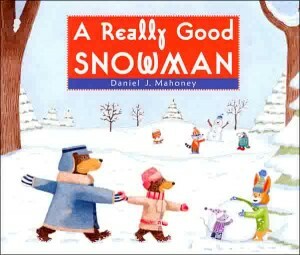 A Really Good Snowman by Daniel J. Mahoney plucked my heartstrings and then some. This is a story of a annoying little sister who always finds ways to ruin her older brother’s fun, and his avoidance of her . He’s just an average big brother, and when she tags along to a snowman building competition he ditches her for his friends. When some bullies tease his little sister , he does what every mother hopes their older child does and stands up for her. Then seeing he needs her he leaves his friends and joins her snowman building efforts. It’s a sweet story but not so sweet it’s unrealistic. 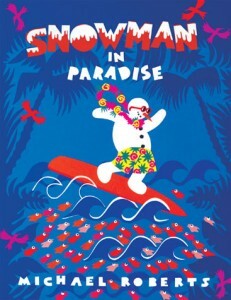 Also the illustrations of all the different snowmen will make you laugh , my favorite is the Elvis snowman! Even if some references are more for the adults reading it than the children listening , both parties will close the book smiling and wanting to start all over again. Grab it and see why I love it so much! 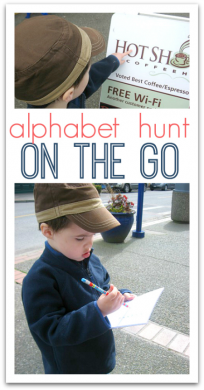 A fun simple activity that will build motor skills. And it looks so wintry. My son is going to love this. Thanks for the wonderful idea! .-= Mrs. Mordecai´s last blog ..Breakfast for a new year =-. .-= Muthering Heights´s last blog ..The Best Part Of Snow =-. I used to teach Math using Box it and Bag it Mathematics and Math Their Way. This is the way all inspired teachers should be teaching! Working on a new blog about an inspired HS teacher. .-= teachingwithsoul´s last blog ..New Year,New You! Family First! =-.